A strong medical background is becoming more and more important for speech-language pathologists. In fact, 40,000 speech professionals already work in hospitals, nursing homes, and other medical facilities. 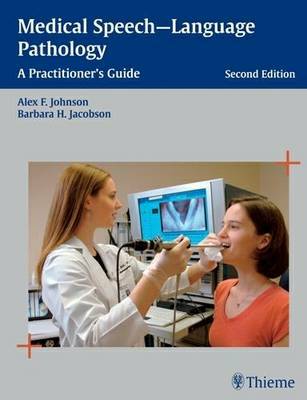 This superb 712-page reference-the first comprehensive guide to medical speech-language pathology-provides the complete medical information in a practical, accessible format. The book brings together contributions from more than thirty leading experts in speech-language pathology, neurology, otolaryngology, radiology, and psychiatry, and provides complete illustrated coverage of both the pathology and treatment of medically related speech disorders.